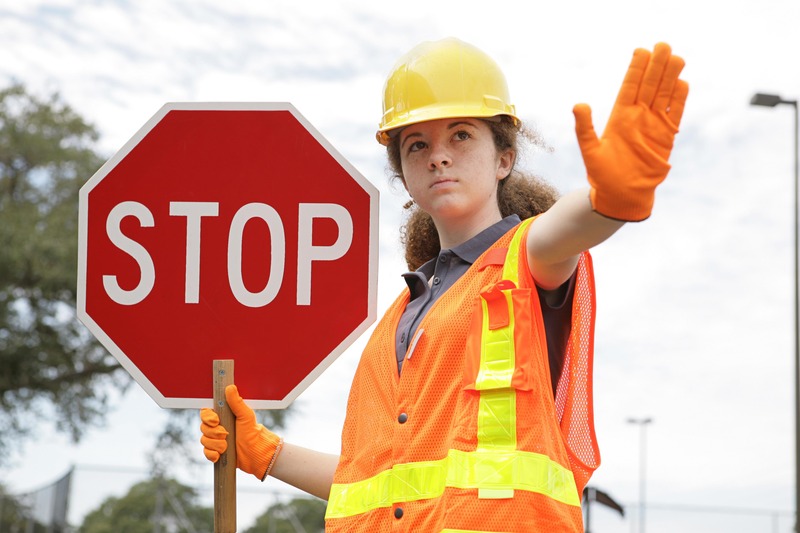 The maintenance of traffic (or Temporary Traffic Control) courses offer three separate levels of certification in detouring traffic through workzones, proper flagging procedures, review and interpretation of FDOT’s design standards to enable students to manage, setup, and plan safe and efficient workzones. The UFTI Transportation Technology Transfer (T2) Center is an approved provider for the Florida Department of Transportation Advanced Maintenance of Traffic Course. Questions? Contact Jasper Masciocchi at j.masciocchi@ufl.edu or 352.273.1685 to discuss your training needs. This class goes through the MOT Bassic “Flagger” training requirements and provides certification.